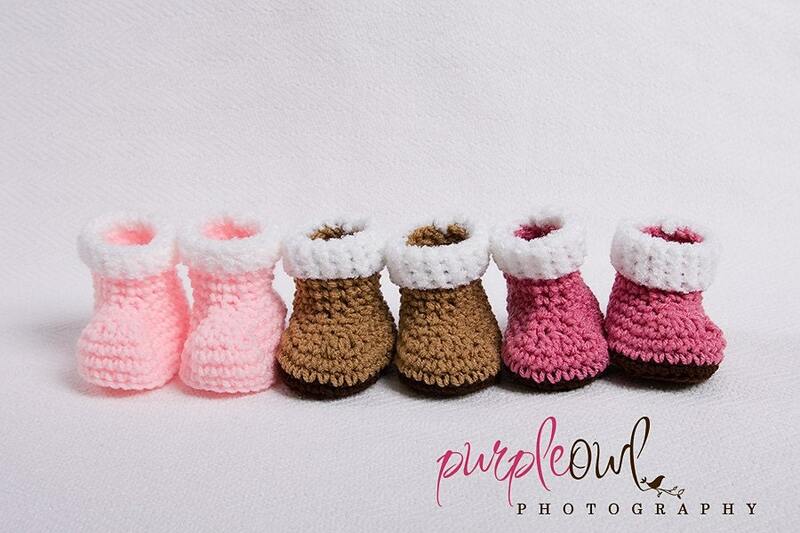 Size 3.5" 4" 4.5" 5" 5.5"
I can make these booties in any color combination! 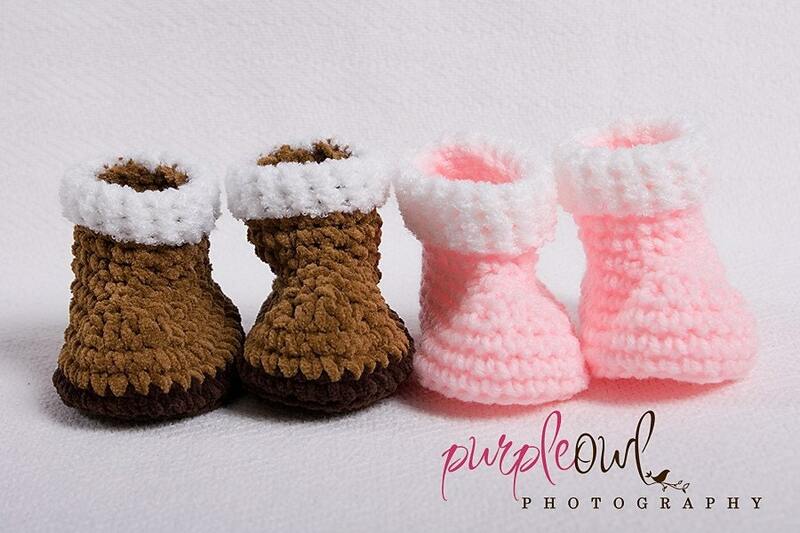 The suede yarn that was used for the one pair of booties is a discontinued yarn. I do have some of the suede yarn available if you would like the suede look and feel. Suede booties are available in size 6-9 month. I will be happy to substitute a yarn of your choice for a softer boot. I am experimenting with this pattern and some softer yarns already. Free Shipping to my US customers. If you order more than one pair of booties, discounts will apply. 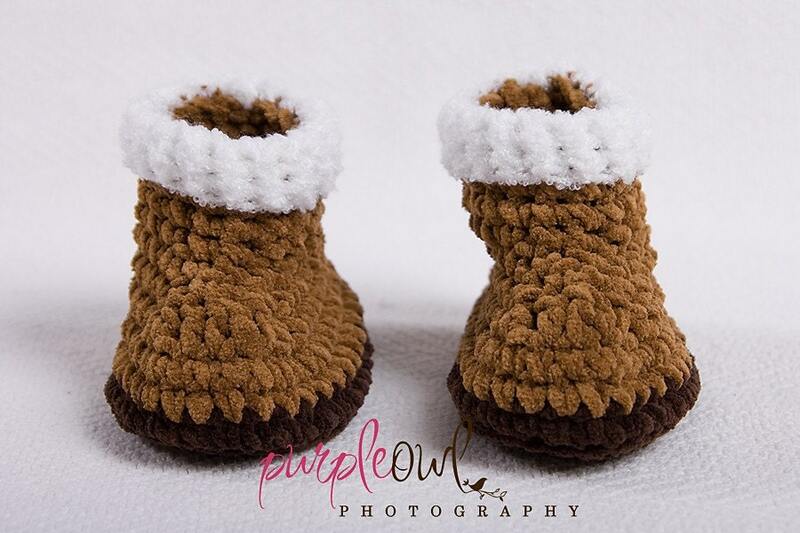 For example I can do 2 pair of booties for $25 for a savings of $5. I look forward to hearing your color ideas and making these for you!